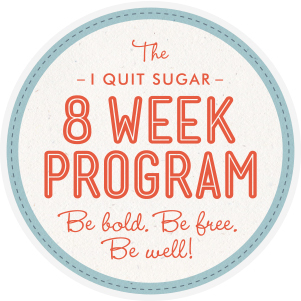 Week 2 Of The I Quit Sugar Programme | The Free From Fairy. It is week 2 of the I Quit Sugar programme and I am still standing…despite removing all sugar including fruit this week. I have avoided refined sugar since my one lapse last week and have learnt a couple of things about myself that help when trying to avoid my nemesis. The first ‘danger’ situation for me is baking with sugar; I just cannot resist the temptation to test the mixture and the final result. The second scenario to avoid is baking anything when alone, since in my head, if nobody sees me cheat, it is ok.
Today is mum’s birthday so I knew a birthday cake was going to have to be baked. Recognising the issues above I baked the cake with Roo using Sukrin, a sugar alternative made with erythritol and stevia combined. I did lick the spoon to ‘test’ the icing but at least it wasn’t made with refined sugar and with an I Quit Sugar approved sugar instead. In terms of the meal plans I have encountered a few issues this week stemming from the fact that we were away last weekend. I therefore did not follow the meal plan which meant that I was lacking in the slow roast lamb which was the meal on Sunday, and utilised in quite a few meals this week. Ordinarily that would have posed a problem if I were sticking religiously to the plan but in actual fact there have been a few days this week where I have eaten out and therefore didn’t need to cook at home. I have also been creating my own recipes for quite a few breakfasts and lunches as the options on the plan didn’t appeal to me. 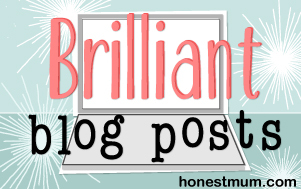 Although I have loved the meals on the plan so far the kids haven’t been quite so keen on quite a few of them…and there have been several that I knew the kids wouldn’t eat without even bothering to expect them to. So annoyingly, there have been several meals where I have had to cook two options. In addition to that the paleo option on one meal was not paleo being made with gluten-free flour and quinoa. All that aside I am still really enjoying not having to think about what to cook and what to buy, and the shopping bill has been cheaper although I am not entirely sure why. As sugar disappears from my system I seem even more sensitive to it. Last night I ate at a Cote restaurant and enjoyed a glass of wine, some cured meats (which no doubt contained sugar) and chips. I spent most of the night lying awake with my heart racing…something that I used to suffer a lot from but with no understanding of why. I am beginning to think it might be sugar-related. So far removing sugar from my diet has been easier than on the previous two attempts. I put that down to the fact that I am not having to think about food so much because all the planning has been done for me. The less I think about food the easier it is for me…which is somewhat tricky given that part of my job is developing recipes! My skin looks good, my hormones are behaving and my tummy as always is…misbehaving. 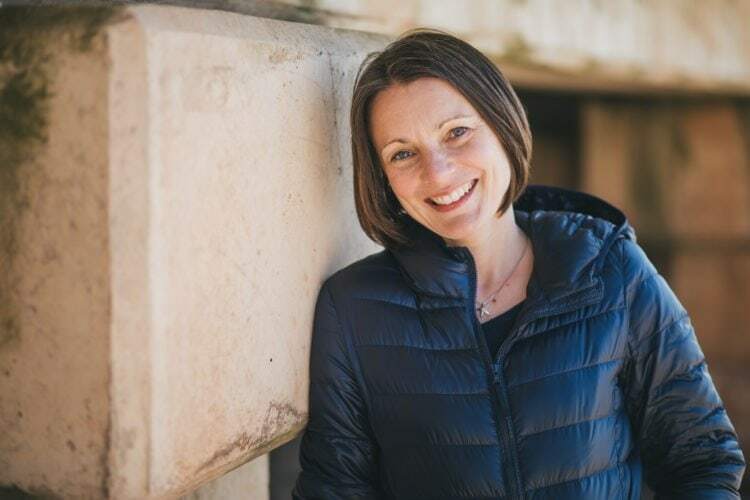 The move away from the low FODMAP diet has not resulted in a significant change to my symptoms proving that for me, there is no point in restricting my diet to that extent. I live in hope that one day I will discover what the cause of my bloating is but for now I am just happy that I am successfully removing sugar from my life. I have not been paid to review the I Quit Sugar programme but I was offered free access to it in order to find out more about it. This has not and will not affect my opinons which are always honest and true. Glad you’re doing well on the sugar free and moving away from low Fodmap without any symptoms., there is now way I would ever do low Fodmap, no onions or beans would move so much nutrition from my diet. I have been sugar free for about ten days now and I don’t crave anything. I had an apple this week and I’ve had a little juice but I’ve not eliminated those fruit sugars since they are natural, I’ve just cut back on them. I’ve done 3 weeks before and found it easy. I don’t intend to give it up completely and I don’t have much usually anyway but over the past 6 months my chocolate intake increased due to my condition and comfort eating as well as Christmas and I just want to get back to what used to be normal for me – once a week. I’d rather give up all sugar than use alternative sugars since I believe they can’t be good for you in the long term . I think in the end balance is the answer and with that I mean very little sugar. I hope you discover what is causing the bloating, I know this sounds daft but have you tried eating slowly? Hi Vicky…I wouldn’t say there are no symptoms from eating high fodmap foods…just that they are not significantly worse to worry about!!! Sounds like you are doing really well…but then that you also didn’t have quite the addiction that I had! I know what you mean about sugar alternatives but for me I can’t eat a little sugar…it leads to more…so I will see whether Sarah is right that a little of the fructose free sweeteners doesn’t cause the same cravings. I won’t go crazy! I have tried eating slowly…and it isn’t a silly suggestion. It is very valid!